Harmonica Superpower, Dennis Gruenling, is planning to once again to find his way back to Elkin with his fantastic Jump Blues/Swing dance band – Dennis Gruenling with Doug Deming and The Jewel Tones! 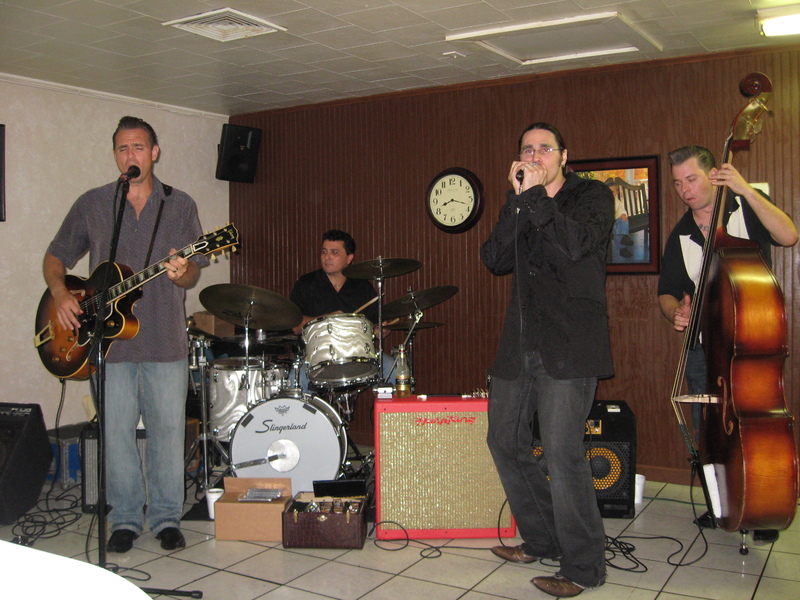 If you missed our Jump Blues Fundraiser last summer, you missed one of the best nights of music ever in Elkin. So join us Tuesday evening, June 26 in the Reeves “Theater in the Raw” at 129 West Main Street in Downtown Elkin for a night of incredible music, food and cold beverages…all for this great community trails project. Your support will help us build two 90-foot suspension bridges for E&A Rail Trail crossings over the Elkin Creek. This is a major step in completing the Trail to the Town reservoir north of town and getting us all on the Trail! Save the date….Tuesday evening, June 26 from 7pm – until. Bring folding chairs if you like, casual dress, dancing shoes. Food by Harry’s. Cold beverages by Reeves Restoration Committee to help fund the Reeves Theater project. Free admission, donations to EVTA gratefully accepted!